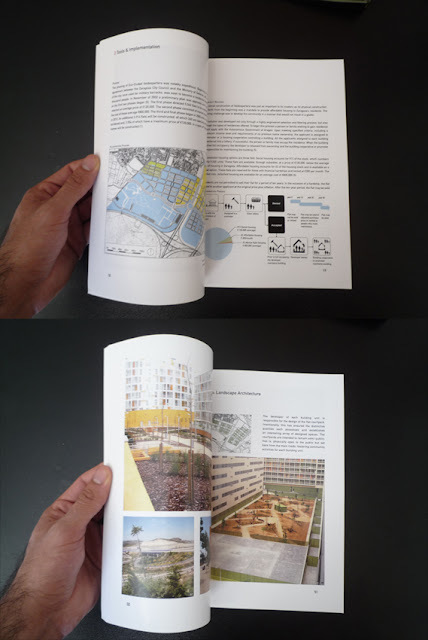 In the Summer of 2009 Andrew Tenbrink (MLA ’09) and I traveled to Spain to document two (self-identified) eco-cities for publication in the TransUrban book series — published by Harvard University’s Graduate School of Design. We studied the policies and politics that brought these developments into being as well as the urban, landscape, and architectural techniques used to build them. 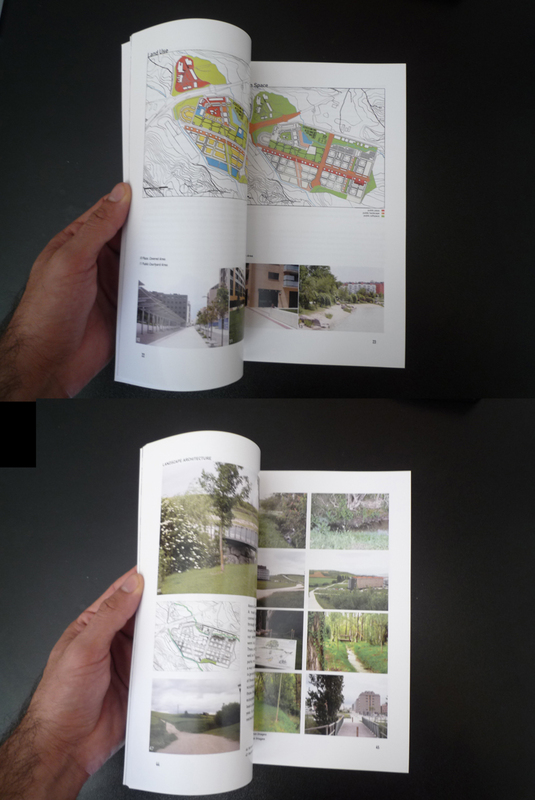 Since, we have worked with GSD professors Christian Werthmann and Thomas Schroepfer and with DDes Limin Hee to finish the research, formulate a critique, and now publish two books out of that work. Ecociudad Valdespartera resides on the southwest edge of the city with a footprint of 234 hectars, and is a new urban district to Zaragoza. Providing housing to nearly 10,000 people, with a capacity for 24,000, the development has been purposed to provide a new model for sustainable urbanism and technology. Through collaboration between Zaragoza’s City Council, the Autonomous Government of Arragon and two banks, an endeavor was taken to construct a development that is comprised of 91% social housing, 6% affordable housing and 3% market rate housing, totaling over 9,500 residences. Schroepfer, T., Christian Werthmann, Limin Hee with Quilian Riano and Andrew tenBrink. 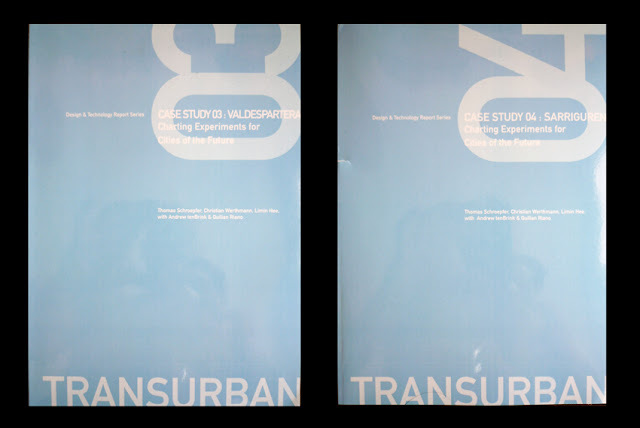 Transurban: Charting Experiments for Cities of the Future – Case Study 3: Valdespartera. Cambridge: Harvard University Graduate School of Design, Design and Technology Report Series, November 2010. Schroepfer, T., Christian Werthmann, Limin Hee with Quilian Riano and Andrew tenBrink. Transurban: Charting Experiments for Cities of the Future – Case Study 4: Sarriguren. Cambridge: Harvard University Graduate School of Design, Design and Technology Report Series, November 2010 . The books contain all the research and our conclusions/critiques. During the research Andrew and I often chatted about the problems of building large peripheral developments mostly for low-income families far from city centers, specially in a nation with a housing bubble and about a third of its new housing stock empty**. Would it not be more ecological to use those empty apartments and place those families within existing cities and infrastructures? For now these peripheral developments are mostly sanitized experiments in ecological urban, landscape, and architectural techniques — in varying degrees of success — lacking, among other things, flexibility and potential for growth and change over time, some of the elements that make a city truly urban. interesting but what makes these places cities? they seem to be more like housing communities.